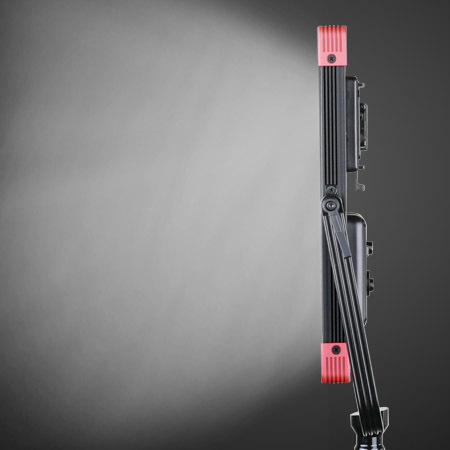 PL-E90 is specially designed for field portable lighting applications. 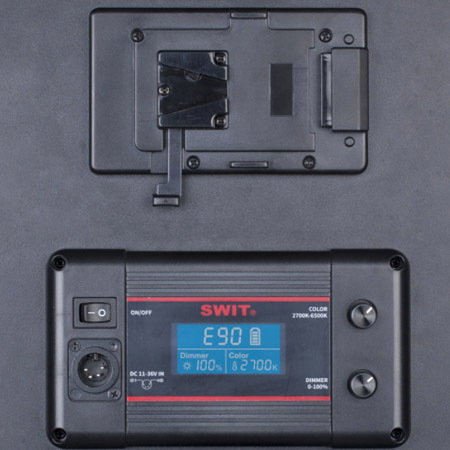 480pcs SMD-LEDs are mounted in the inner edge of the light frame, and with SWIT unique 90° light guide technology, PL-E90 can output bright, soft and equally spread light, meanwhile, the light body is slim enough and portable, which is an ideal light source for interview kit and field video productions. PL-E90 outputs 90W power, feeds 2200Lux luminance at 1 meter distance (center), much brighter than other similar size LED panels. 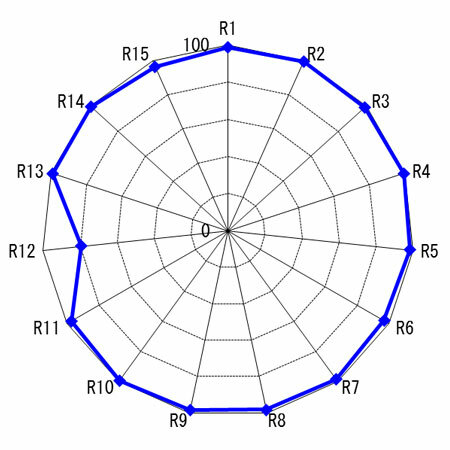 The effective beam angle reaches 70°, bounded by 50% decline. 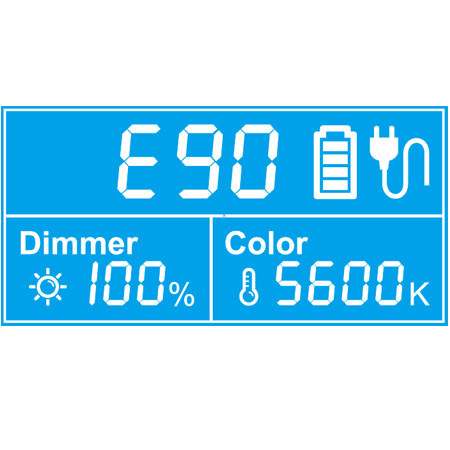 PL-E90 also supports 0 to 100% PWM digital dimming, smoothly and non-flickering. PL-E90 alternated with 2700K and 6500K LEDs, and the output color temperature can be continuously adjustable between 2700K and 6500K. CRI (Color Rendering Index) is a measure of the ability of a light source to reveal the colors of various objects faithfully in comparison with a natural light source. And TLCI (Television Lighting Consistency Index) is special for the color reveal ability by camera sensor. Max value 100. 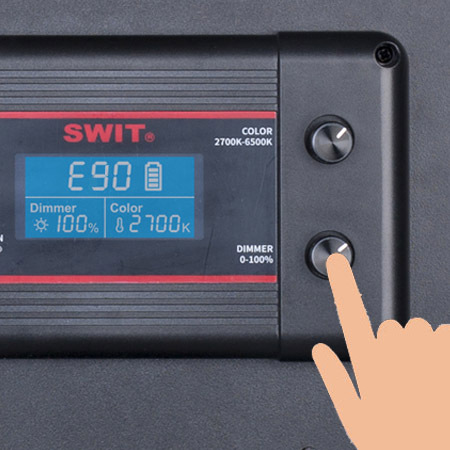 The normal LED light has 80-85 CRI or TLCI, while PL-E90 offers the super high CRI at 98 and TLCI at 99, and will not lost the object original colors.